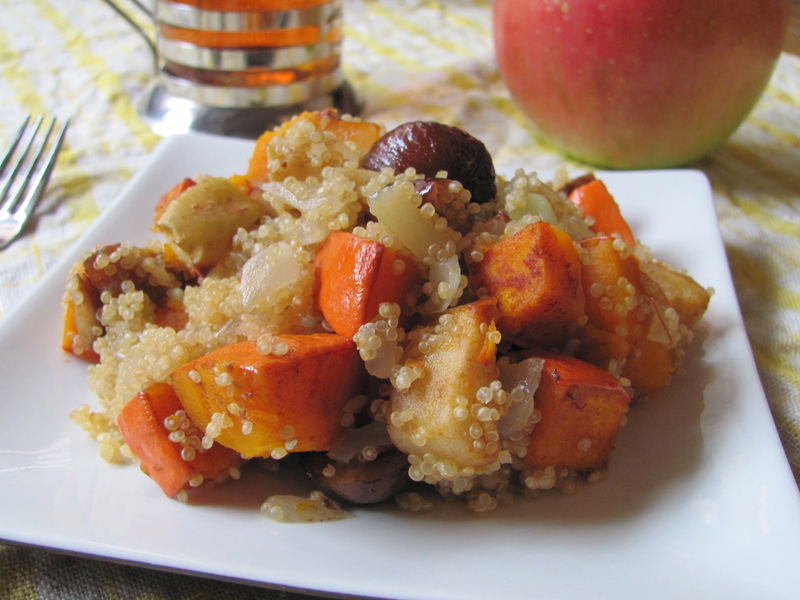 Roasted Autumn Salad with Quinoa (or Rice) – I'll Make It Myself! Typhoon season has brought the temperature down from the endless blazing days of August, one of the few times of year when Ishikawa isn’t rainy. Because of Mt. Hakusan, the typhoons that slam into west of Japan dissipate into thundershowers over Kanazawa, a sign that fall is near. With all the squash at the market and the slight drop in the heat, I’ve been on a roasting kick lately. Unlike in the winter, when I warm the apartment cooking dinner and hide out in the kitchen area for most of the night, roasting in late summer and not using the AC just means I go hide out in a different room with the fan. This salad has some of the best of autumn’s flavors and is reminiscent of stuffing but is vegan and gluten free. 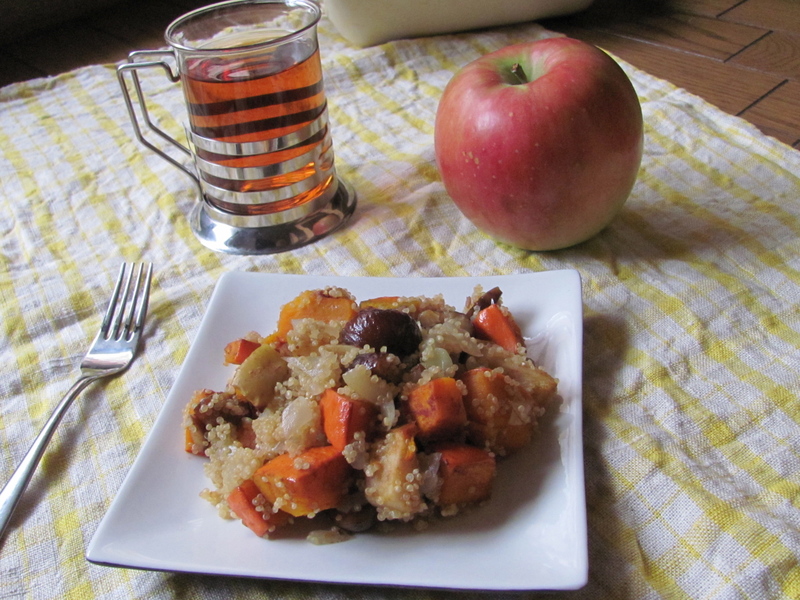 Apples and kabocha squash roasted with chestnuts and tossed with quinoa (or rice) and sauteed onions and garlic. Simple as that. Because the dish is naturally on the sweet side and enhanced with cinnamon, it would made an excellent side dish in the style of sweet Southern-style side dishes like pineapple stuffing or creamed corn to a savory entree. As an entree, you could serve this chilled on a bed of fresh greens or with some savory sides to balance out your meal. In Kanazawa, I can usually find quinoa (kinua, キヌア) sold alongside other grains like amaranth and black rice in the rice section or in the dried non-native beans section of nicer grocery stores and gourmet groceries. 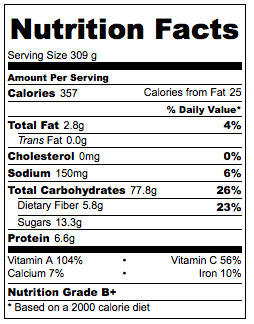 If you can’t find quinoa, you can substitute 200 g (1 US cup) of cooked brown rice for the 275 g (1.5 cups) of cooked quinoa. After cooking the onions and garlic, add the cooked rice and toss to incorporate before adding the kabocha mixture. I had a bag of domestic preserved sweet chestnuts (amaguri, 甘栗) I needed to use, so I added those in for the roasting even though they were already cooked. If you use fresh pre-peeled raw chestnuts, which you can often get at the grocery in Japan in fall, just add them to the pan. The roasting time is long enough to cook them through. Anyone who remembers the chestnut adventure of 2009 knows that I’m sort of traumatized by roasting and peeling my own, but you’re welcome to do that (and give me tips) if you like. 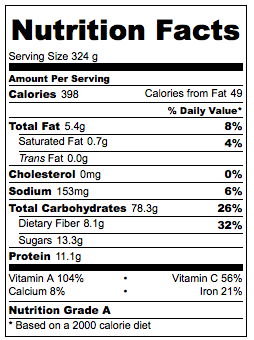 Serves 4 as a main dish, 6-8 as a side dish. 2. Leaving the peel on, wash and chop the kabocha and apple into bite-size pieces. Add to the roasting pan. 3. 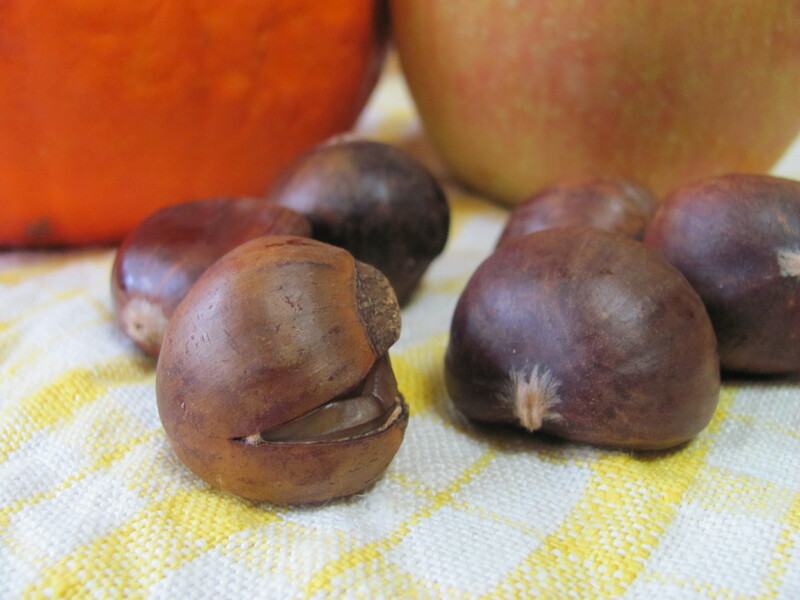 If applicable, remove chestnuts from shell and cut any whole ones into half, then add to the roasting pan. 4. Sprinkle cinnamon on top and toss to coat. Next, drizzle a little olive oil on top and coat to toss. 5. Roast for about 45 minutes or until the kabocha and chestnuts (if they were raw) are tender. Stir halfway through. 1. Heat olive oil in a saucepan. Add onions and cook until translucent and fragrant. Crush the garlic, then mince and add to the pan. 2a. Quinoa version: Rise quinoa well and set aside. Add water to saucepan with onion mixture. When it boils, add the quinoa. Reduce heat and cook, stirring frequently, for 12-15 minute or until water is absorbed. 2b. Rice version: Add cooked brown rice to the onion mixture and toss. If the rice is cold, heat through. 3. Remove from heat. When the roast is finished, toss the roast and grain together. Serve hot or cold. *I used an heirloom red kabocha (utsugi akagawa amaguri kabocha, 打木赤皮甘栗かぼちゃ) for this recipe, but regular kabocha, butternut squash, or any orange squash you find will be delicious.